Both actors recently attended a special screening hosted by the Academy to honor the beloved Guillermo del Toro film. When we talk about Guillermo del Toro, we’re talking about “Pan’s Labyrinth.” That isn’t to slight the Mexican auteur’s eclectic filmography: Everything from “Cronos” and “The Devil’s Backbone” to the two “Hellboy” movies are as imaginative as they are involving, and advance word on “The Shape of Water” suggests it ranks among del Toro’s finest. 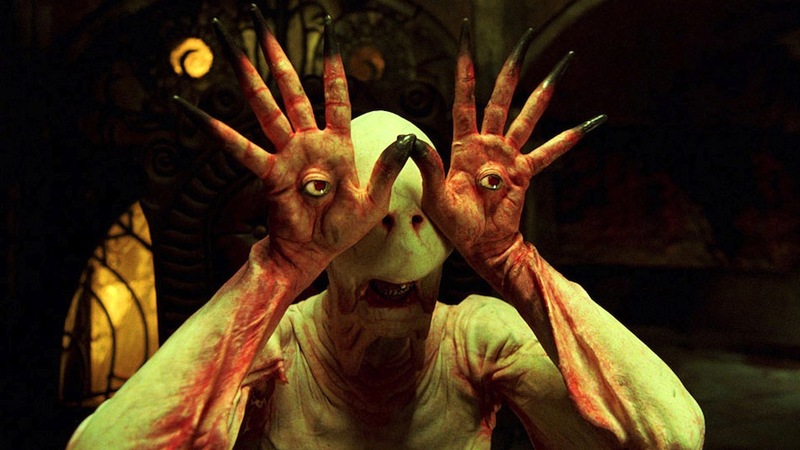 But “Pan’s Labyrinth,” which has only grown in esteem since opening to widespread acclaim 11 years ago, is a distillation of its maker’s essence. That’s among the reasons why the Academy hosted a special screening of the film in Los Angeles last night. Programmed as part of their series “From Latin America to Hollywood,” the event included a panel featuring producer Bertha Navarro, cinematographer Guillermo Navarro (who won an Oscar for his work), and actors Doug Jones and Ivana Baquero. Jones, of course, plays the merman in the upcoming “The Shape of Water,” while Baquero’s lead performance as young Ofelia launched her career. Now 23, she has only positive things to say about the movie that provided her breakthrough. Even so, one aspect of the post-screening Q&A was difficult for her: the post-aspect. “Pan’s Labyrinth” still makes Baquero emotional every time she watches it, which wasn’t a problem in the past because she’d always been tasked with discussing it before screenings rather than after them. Jones — who underwent five hours of makeup per day for the Faun character and six hours for the Pale Man — had already worked with del Toro on “Mimic” and “Hellboy”; “The Shape of Water” marks their sixth collaboration. “We have a shorthand now, del Toro and I. With the Faun, he said, ‘Dougie, I want you to study the back end of barn animals’ — like cows, goats, you know, how do their hooves meet the ground, and how they shake their tails,” Jones said. The other note del Toro gave him: the Faun would be aging backwards. “If you happen to notice, every time you see him, he gets prettier and more auburn-colored and his horns grow back and his eyes clear up as the movie progresses because little Ofelia starts believing in me again, and in our world, which strengthens the whole underworld,” the actor explained. Jones wasn’t content to do simply count to 10, and so he learned enough Spanish to not only speak his lines but understand the other characters’ dialogue as well. He considers this the most difficult thing he’s ever done. Also difficult: seeing through his elaborate costumes. “The eyeballs in the hands didn’t really work. Spoiler! Sorry to ruin that one for you,” Jones said. With that, he had just one more note: “Santa Claus isn’t real.” As evidenced by “Pan’s Labyrinth,” though, fairy tales don’t need to be true in order to be moving.